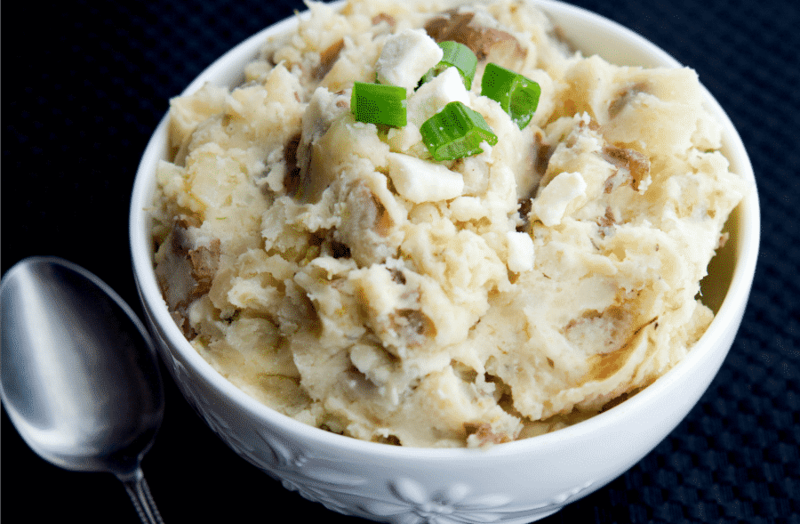 Greek Mashed Potatoes made in the crockpot with red bliss potatoes, scallions, oregano, lemon and Feta cheese make a tasty, easy side dish. 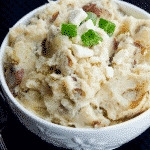 Today I’m going to be sharing a new experiment with you for Crock Pot Greek Mashed Potatoes. This is one of those recipes that started out one way in my head; then wound up another. Not a bad thing mind you, just different. I originally thought that the potatoes would stay in whole form, but I guess I cut them a little too small for that. I’m a little new at slow cooking so bear with me while we learn together. As you can see by the picture, the potatoes are all chopped nice and uniform, but after 2 1/2 hours in the slow cooker they turned to mush. 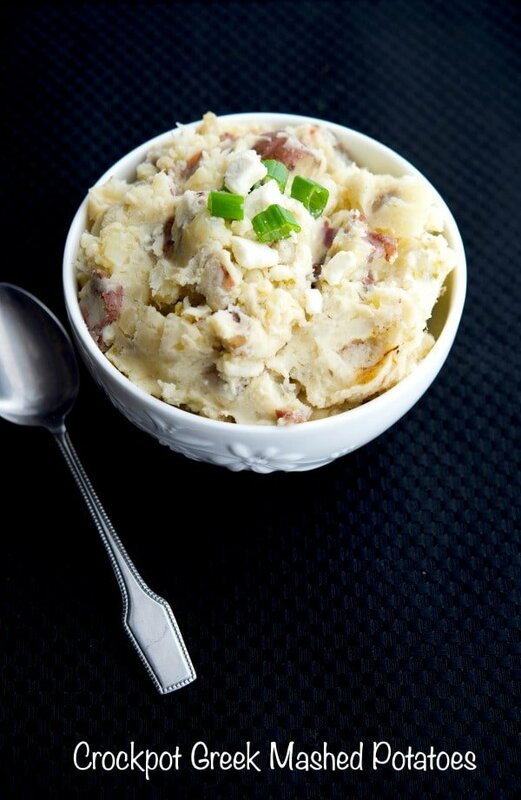 So that’s when I decided to make this side dish mashed potatoes instead. 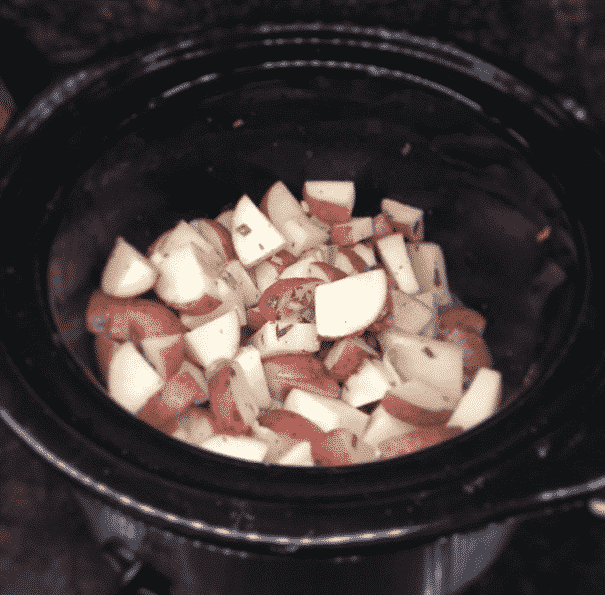 Start by washing the skins of the potatoes well; then quarter each potato and slice in 1/2″ thick slices and place in the crock pot. Add the scallions, oil, oregano and lemon juice to the potatoes and mix well. Next, turn the heat on your slow cooker on high and cover with the lid. Allow the potatoes to cook for 2 1/2 hours until soft. 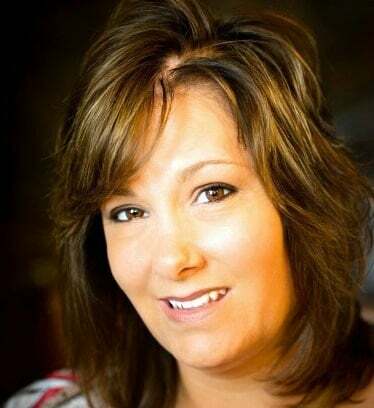 (If you’re going to be away, place your slow cooker on warm for 6 hours or low for 4 hours). 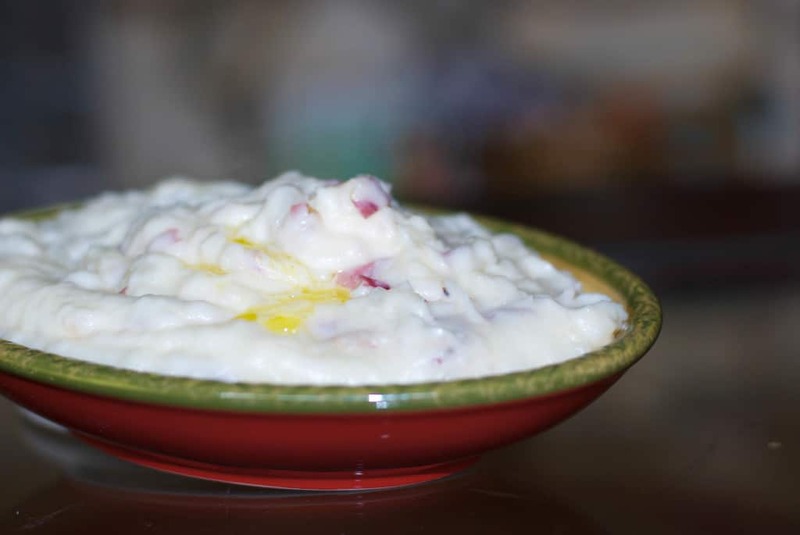 Before you’re ready to eat, remove the lid carefully; then add the Feta cheese and half and half. Mix well with a spoon until creamy. I really enjoyed this version of potatoes, but the family not so much. Though I have to say, they’re not huge fans of Feta cheese. You could probably leave it out as the lemon and oregano give the potatoes a nice flavor all on their own. 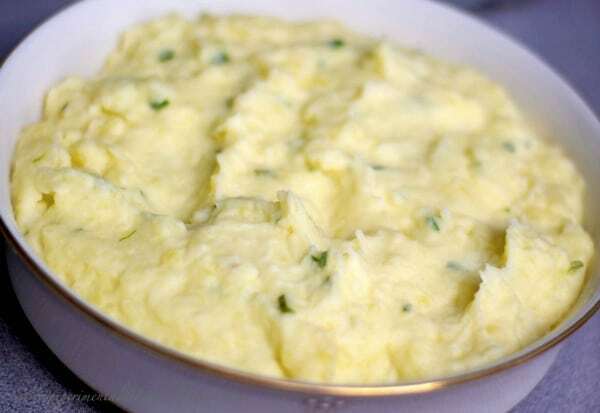 If you like your mashed potatoes a little more on the creamy side, I would also suggest adding more half & half (or milk/cream) and some butter, but I preferred these as is. ~Enjoy! 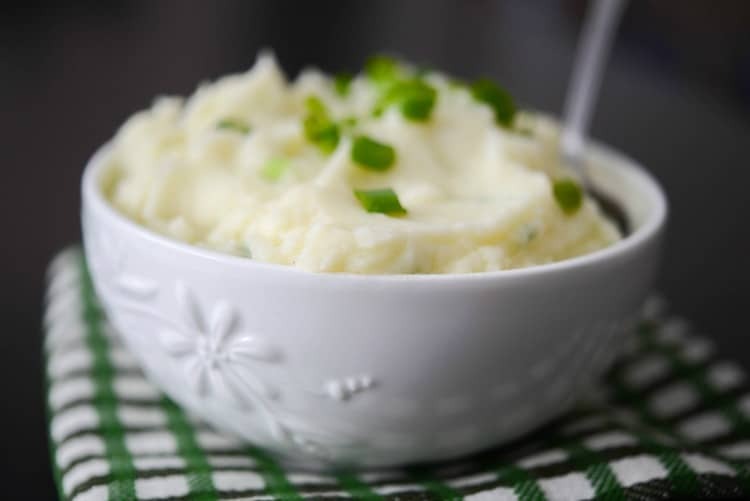 Wash the skins of the potatoes well; then quarter each potato and slice in 1/2" thick slices. Place in the crock pot. Add the scallions, oil, oregano and lemon juice to the potatoes and mix well. Turn the heat on your slow cooker on high and cover with the lid. Allow the potatoes to cook for 2 1/2 hours until soft. (If you're going to be away, place your slow cooker on warm for 6 hours or low for 4 hours). Remove the lid carefully; then add the Feta cheese and half and half. Mix well with a spoon until creamy.